Join Niq the one-man musical, push his button and pop out a song to add to your family’s repertoire. Join Niq and choose a song from his treasure chest of music. 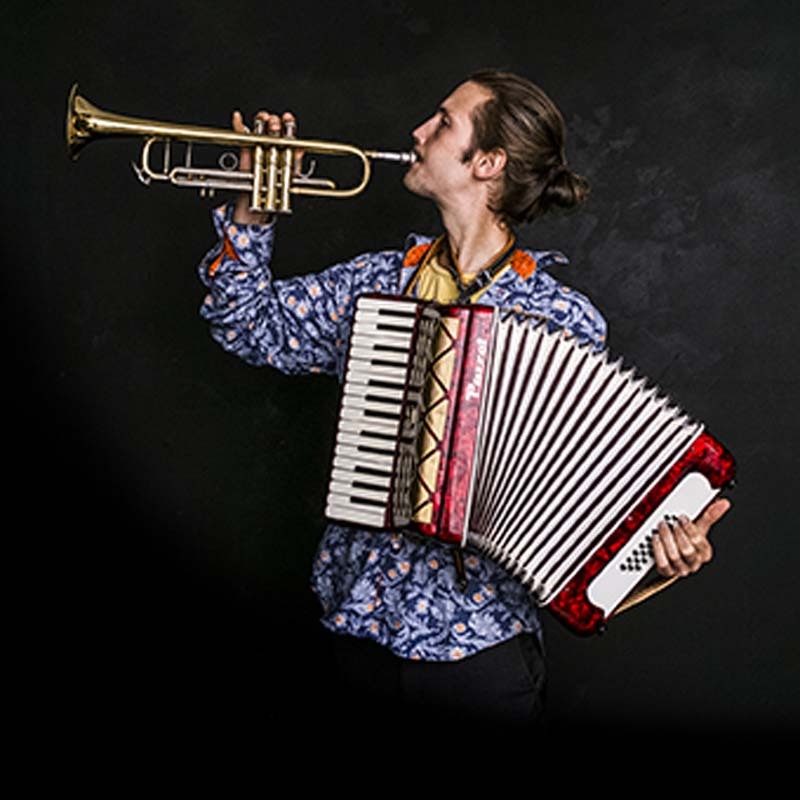 Niq’s a trumpet, accordion and ukulele-playing, storytelling wanderer. Using a map with riddles to find the treasures, discover how to make your own map from the first map. Who’s been eating my porridge? Bring your precious furry friend for teddy songs and banter with breakfast and as a treat, every bears favourite food, teddy bear biscuits.